DURHAM COUNTY, N.C. (WTVD) -- A burned car is all that's left from a crash on Sunday afternoon on Highway 751 in Durham County. Our crew on the scene said the driver ran off the road and hit a tree before the vehicle burst into flames. 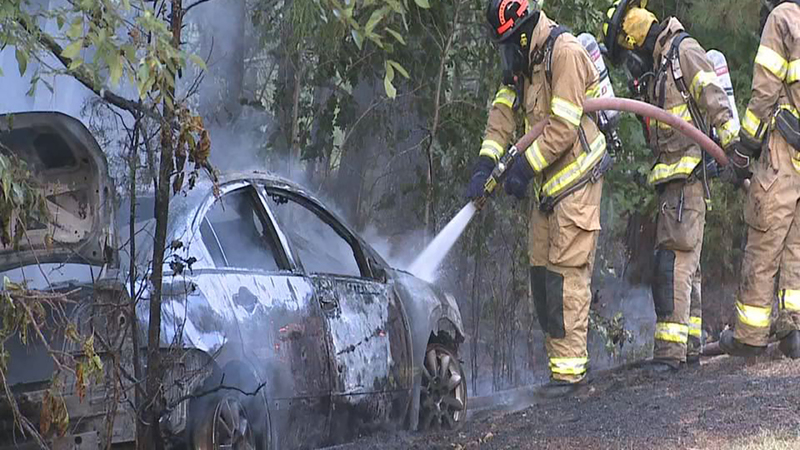 Firefighters on the scene were hosing down the car and surrounding wooded area when our crew arrived. It is not yet known if anyone was hurt or what caused the driver to veer off the road.